Agassiz Seed and its employees will provide our customers with the quality of products they expect, at a competitive price, while delivering service that exceeds expectations. Agassiz Seed and Supply has developed a product line specifically suited for the upper Midwest. Our business is located here, we live here, and we know what it means to have products that will perform for our customers in this environment. Agassiz Seed & Supply carries a large variety of seed for a multitude of different purposes to suit your agricultural needs. Agassiz Seed & Supply offers multiple seed and mixture options whether you are starting a new lawn or maintaining a current lawn. Agassiz Seed & Supply has a complete line of vegetable seed for commercial, nurseries, garden centers and farm & home store. Agassiz Seed & Supply is a professional landscaper's or contractor's "one-stop-shop" for all things DOT/Erosion Control. With our capability, knowledge and experience, Agassiz can offer almost any DOT seed mix required by the states of Minnesota, North Dakota, and South Dakota, along with the tools needed to complete the job. Utilize our industry knowledge and experience in purchasing the right products for your needs. Agassiz Seed & Supply has been in the seed treatment and inoculant business since its inception in 1985. We carry a full line of seed treatment and inoculant products to suit your every need. Allow us to offer our experience and expertise in this area, in order to make your seed treating business a success. 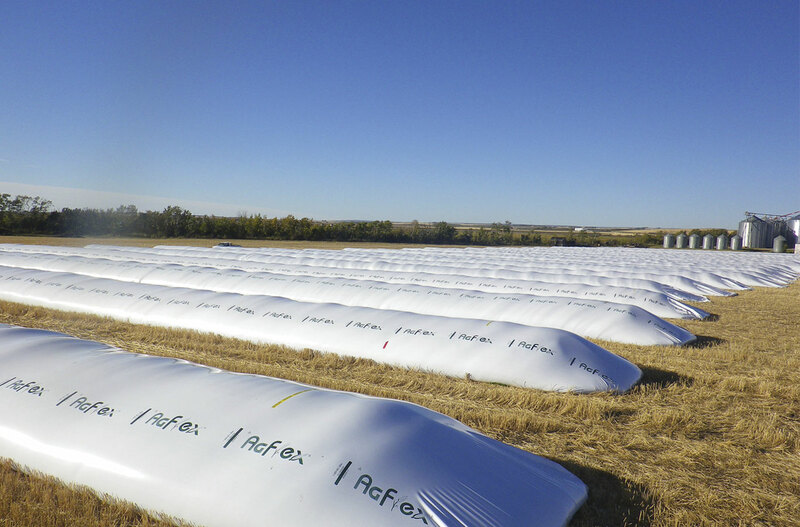 Agassiz Seed is committed to supplying our customers with the right Forage Harvest tools for their needs. Agassiz works with several manufacturers to ensure we have the right products for the markets in which we serve. Learn more about the Tools and Equipment we offer. Agassiz Seed & Supply offers a wide range of Industrial Supply products, Grain Grading equipment, and Moisture and Protein Testing equipment from some of the best names in the industry like Perten Instruments, Harper, Bully Scoop Shovels, and Seedburo Equipment just to name a few. "Thank you for being so helpful. I showed a friend of mine the Mini Gac. He was interested, so I gave him your card." There’s a simple knot in the needle twine. The twine pulled out of the twine disc. Tighten twine holder and decrease twine box tension. There’s a simple knot in twine over the bale but no knot in needle twine. It could be caused by improper twine finger action; adjust to baler manual specifications. Or the needle did not place twine in twine disc, so adjust the needle to specifications and check tensioner at twine box. See if hay dogs are malfunctioning. There is no rescue treatment for “untreated” seed. There’s no knot in either twine. Look for a lost or sheared pin in billhook pinion gear. Inspect the trigger roller and trigger pin. Check that trigger is not bent. Select the BEST lawn seed variety to get the right mix for your lawn. Opting for the bargain seed can lead to more problems down the road. The twine breaks at the knot. Sharp edges may be in the knife arm; smooth the knife arm or replace it. Or you may have too much bale tension; decreasing tension should fix it. The knot did not strip off the billhook. Excessive billhook tension can cause this; decrease tension. Or the billhook may need replacing if it’s rough, worn or bent. Is the knife arm not rubbing the billhook? Adjust or replace it. If the knife arm does not travel far enough, check lobe in cam gear and knife arm roller. The twine ends are frayed or uneven. Your knife is dull. Sharpen or replace it. Inoculating your legume seed is your most cost effective nitrogen source. Colorants are required in seed treatment to insure the seed does not enter the food chain. Only 3 things are important when planting alfalfa. Liquid Seed Treatments are applied wet and go through a tacky phase before becoming dry. Talc or seed finisher may aid in the drying process. Environment is a major factor in how quickly seed dries. Cold seed on a warm day can condensate. Polymers bind the active ingredients to the seed and can improve seed flow. Wheat seed will absorb much more liquid than a soybean seed, application volumes can be much higher for wheat. © 2017 Agassiz Seed & Supply.